EDINBURG — The mayor here is asking authorities to take a closer look at possible voter fraud committed in past elections after Texas Rangers arrested three of his supporters for allegedly voting illegally in last November’s municipal election. 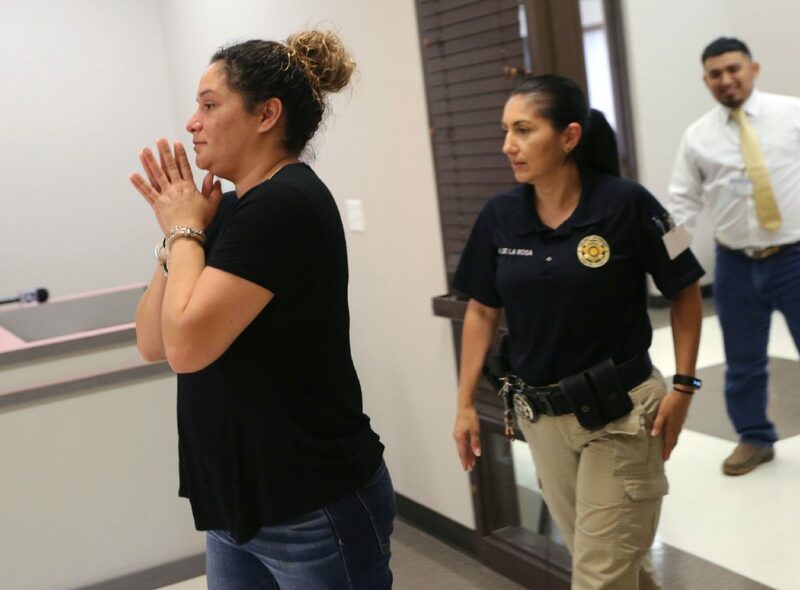 The arrests of Veronica Vela Saenz, 41; Jose Antonio Vela, 27; and Maria San Juanita Aleman, 35, stem from a months-long investigation by the Rangers, the Texas Attorney General’s office and the Hidalgo County District Attorney’s Office. Details about the alleged offenses of those arrested Wednesday remain unclear, as Precinct 2, Place 2 Justice of the Peace Jaime “Jerry” Muñoz’s office did not release their probable cause affidavits as of press time. He said his office has been investigating alleged fraud surrounding the mayoral election in which Richard Molina unseated long-term incumbent Richard Garcia for the past four to five months. “We had received information and we had started working on it, and eventually the Texas Rangers got involved and the Attorney General’s Office,” Rodriguez said. Many believe former Hidalgo County Justice of the Peace Mary Alice Palacios, who is a member of Rodriguez’s extended family, was responsible for bringing the fraud allegations to the attention of both the DA’s and the Texas Secretary of State’s offices. She compiled a detailed report accusing Vela Saenz and Vela, among others, of committing voter fraud. That file was sent to the secretary of state’s office, which forwarded the documents to the AG’s office. Rodriguez said his office takes every complaint seriously, and encouraged anyone who suspects a possible violation to file a complaint with his office or any entity of their choice, including the secretary of state’s office, the AG, Texas Rangers or FBI. Should there be an investigation into any of his family members, Rodriguez said he is willing to defer to outside agencies for investigation and prosecution. Various members of the large Palacios family have held elected office in Edinburg for decades, such as current Precinct 4 County Commissioner Joseph Palacios and Edinburg Municipal Court Judge Terry Palacios. Molina went so far as to accuse Palacios and her two sisters of having between seven to eight people registered at their homes who don’t truly reside at those locations. Palacios could not be reached for comment Wednesday. Molina provided The Monitor with more than 100 pages detailing what he believes is voter fraud on his critics’ behalf. He also rejected the notion that he pressured supporters to change their addresses to fall within city limits in order to vote for him in this past November’s election. “That is completely false,” he said. Vela Saenz, however, is accused of voting in the municipal election despite not living in the city. She was arraigned on one count of illegal voting, a second-degree felony punishable by up to 20 years in prison. Muñoz set her bond at $50,000. 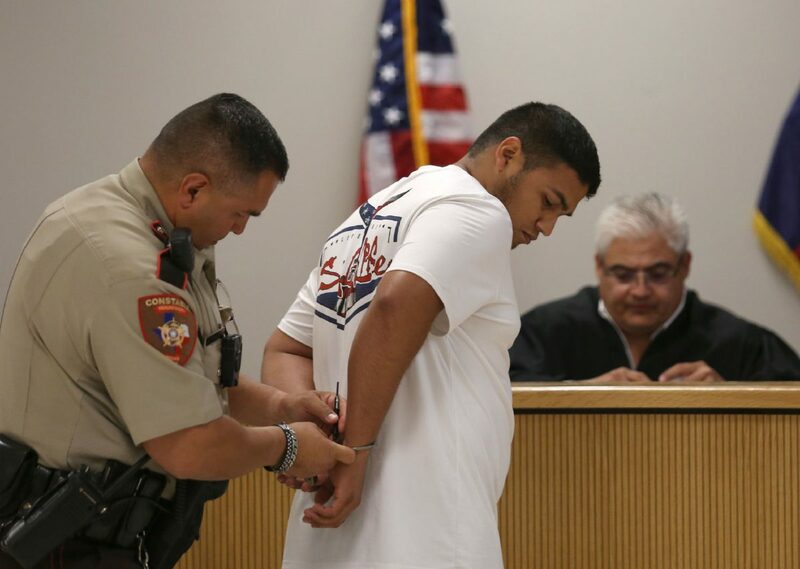 Vela was arraigned on one count of making a false statement on a voter registration application, a Class B misdemeanor punishable by up to 180 days in jail. His bond was set at $10,000. Aleman will be magistrated Thursday afternoon, Rodriguez said. A source close to the investigation said Aleman also faces an illegal voting charge, a second-degree felony.